OOh nice! I keep thinking of reading her first trilogy as I see it around a lot! Will have to decide soon! Great pick! I still haven't read Legend and I am really excited about this book too!I got a sampler of the first chapters from Barnes and Noble. I want this one as well. It sounds like its going to be an amazing book indeed. Great stack of books this week. Ack! You must read the Legend trilogy :) Awesome books. <3 And sigh. Great pick! I am dying to read this book. <3 I cannot wait :D Hope you love it. 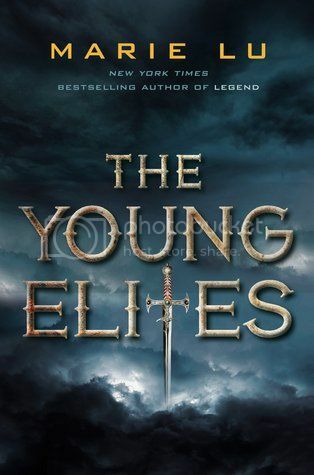 I've never read a Marie Lu book either, but I'm also looking forward to this one. Great pick! I haven't read anything by her either, but this book is definitely on my radar.